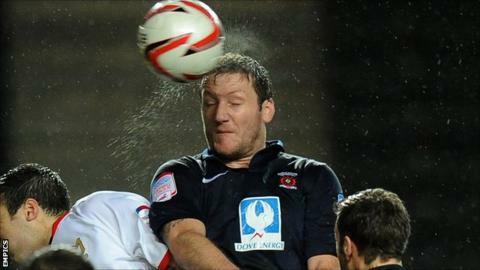 Veteran striker Steve Howard has left Hartlepool United after agreeing a mutual termination of his contract. The 37-year-old began his professional career with Pools in 1995 and scored 32 times in 164 games before spending most of his time in the second tier with Luton Town, Derby County and Leicester. "Everything has been amicable and I am hopeful I will get back to watch some games in the future," he said. "Obviously I wish all the players and staff well for the rest of the season, I really hope they can go on and have a successful campaign." A club statement read: "Steve has been unable to secure a first team place in recent months and, with his contract due to expire at the end of the season, he has agreed a financial settlement. "We continue to find ways to reduce overhead costs to ensure that we adhere to the Football League salary cap requirements and will also allow flexibility for bringing in loan players should they be needed."